Welcome to the Divinitree Community! Thank you so much for taking the time to practice at Divinitree! We’re wholeheartedly grateful that you stopped by and we hope that you’ll take advantage of our New Student Special to visit us as much you’d like in your first month to get to know our teachers, classes, and community. Hi! My name is Jill and I’m the new owner of Divinitree. We’re a small and locally run studio, so we truly appreciate every bit of your support. Our team puts its entire heart and soul into Divinitree with the intention of creating a healing, inspiring, fulfilling, and fun space for every person that walks through the door. We’re always trying to improve, so if you ever have any feedback or questions, please feel free to reach out directly using this contact form. Thank you again and we hope to see you in the studio soon! What are the benefits of being a DIVINITREE member? Practice as MUCH as you’d like & get a bunch of extra perks with our local partners! The best way to reap the physical, mental, and spiritual benefits of yoga is to practice often and consistently. 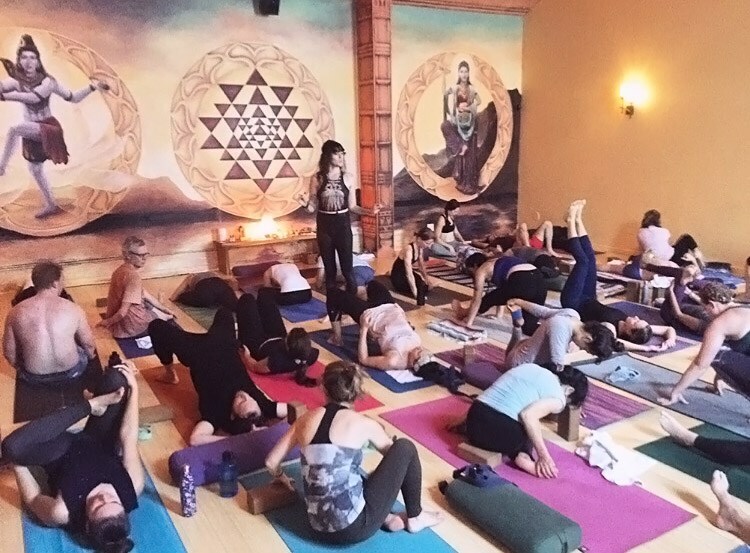 The intention behind our memberships is to make practicing yoga frequently as financially accessible as possible, so we offer 3 membership options starting at just $68.